The event recalled 18 August 1940, when Bromley’s Biggin Hill and other South East military bases came under attack from the German Luftwaffe. It became known as the “hardest day” as both sides recorded their greatest loss of aircraft during the battle. The Battle of Britain lasted throughout the summer of 1940. It was the first major campaign fought entirely in the air. My Grandad Hall was one of those Brave men that sat on the floor of London sat on a Bofors 40mm Anti-Aircraft Auto Cannon, shooting Flak at the Bombers and today I feel such pride for my grandad on this very special day. At 1:00 I will have a minute Silence for all the brave people all over the world that gave it their all to make sure that we have safer lives. Thanks Grandad! What a sight. 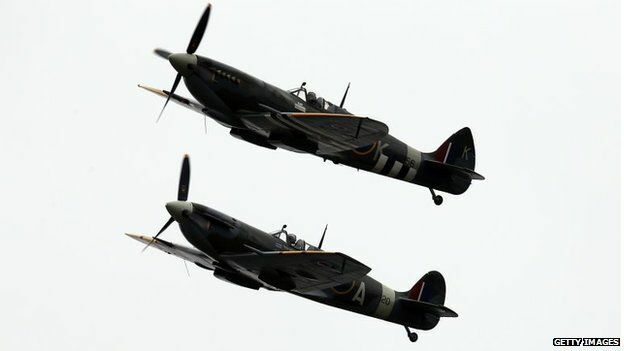 Watching those iconic World War Two aircraft take to the skies above Biggin Hill was something to behold. Spectators gasped as they then circled the airfield in formation. 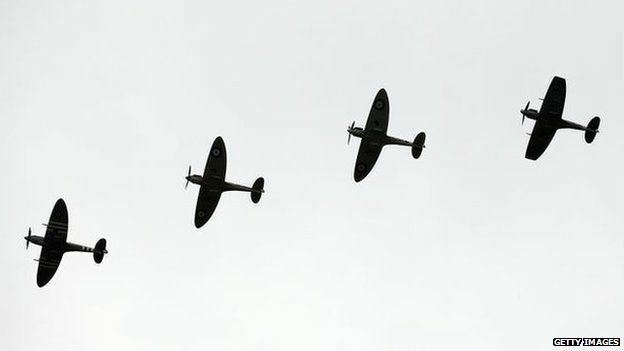 The roar of the Merlin engines and the grace with which the Hurricane and especially the Spitfires, climb, bank, dive and weave through the air is a joy to behold. 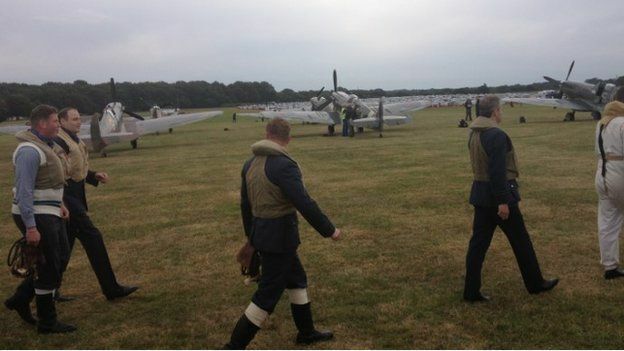 All the aircraft have now landed with spectators invited to see them up close and take pictures. And although they are beautiful to look at on the ground, it is in the sky where they truly shine. The Luftwaffe flew 850 sorties, involving 2,200 aircrew, while the RAF resisted with 927 sorties, involving 600 aircrew. The RAF and German Air Force lost 136 aircraft in one day. The special commemoration, staged from the former RAF airfield at Biggin Hill, now a commercial airport, honours the pilots, engineers, armourers, operations staff and ground crews who faced attack that day. More than 3,000 spectators went to Biggin Hill to see the aircraft including squadron leader Tony Pickering who flew on the “Hardest Day”. He said: “I don’t think I was ever afraid. You’ve got to make sure you don’t get too enthusiastic. You couldn’t take on the German air force by yourself. 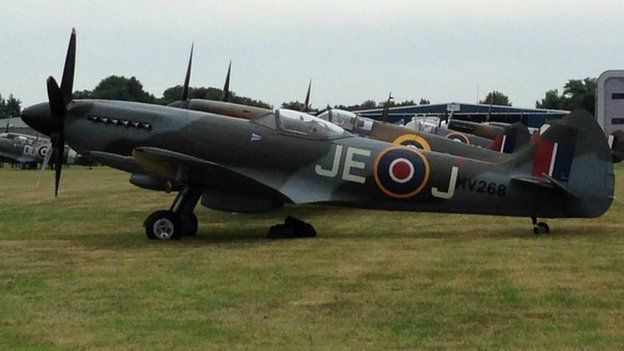 Will Curtis, managing director of Biggin Hill Airport, said it was remarkable that the Spitfire was “still a joy to fly”, adding that “real credit” goes to its designer RJ Mitchell. On 10 July, aircraft including Hurricanes and Typhoons took part in a flypast over Buckingham Palace as part of the 75th anniversary. 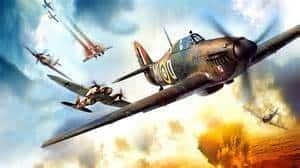 This entry was posted in Blog and tagged Alison, b17, Battle of Britain, Bomber, DC#, fighter plane, Flying Fortress, hurricane, Merlin, Messerschmitt, Mitchell, p47, p51, RAF, spitfire, ww2. GUY MARTIN DRIVES FERRARI FXX For FIRST TIME.